At Francesca’s Facelift here in Las Vegas, we have extremely high standards for the incredible results we produce for our clients. Which is why we select only the very best in technological advances in Skin Resurfacing & Rejuvenation to reverse aging and restore youthful glow and appearance for our client’s best asset…their face. Don’t Be Fooled By Imposter Laser Machines or Catchy Names! When it comes to Skin Resurfacing & Rejuvenation we take this rather seriously since your skin is one of the most important features in how you look as well as the largest organ of your body. It’s no secret that ageing causes the skin to wrinkle, sag and lose elasticity…but that does not mean it has to stay that way or get progressively worse! We take our treatment protocols seriously. 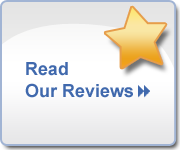 In fact, we use the latest Fractional laser/ Active FX because it creates the very best and most immediate remarkable results for our clients. This laser treatment increases collagen growth deep within the skin using micro beams to pixilate the skin, making skin smoother, tighter and more vibrant. It gives your skin the best youthful appearance, superior to other lasers in reversing lines and wrinkles as well as Age Spots (AKA Brown Spots, Hyperpigmentation, Sun Spots, Pregnancy Mask or Hormone Spots), and acne scars. Each pulse of the Fractional laser/ Active FX delivers a tiny microbeam of light within the treated area of skin, this allows some skin to remain untreated and healthy so it creates bridges across the skin surface to heal treated areas much more quickly. This procedure stores vital collagen and promotes tissues to heal faster and reduces side effects such as swelling and redness. The Active FX treatment does not go as deep as the older co2 lasers, and as such, the treatment does not have the intensive recovery time and boasts a much quicker, recovery time. In only about 5 days or less, the results are better than ever before! What’s even more remarkable about our Skin Resurfacing & Rejuvenation techniques using the Fractional laser/ Active FX, we can even treat the whole face including eye lids and the neck that other lasers can’t touch! The results are simply incredible and require no surgery. With Our Advanced Procedures, We’re Taking 10 Years Off Your Appearance and Making It Easy! Francesca LoBaido will tell you, “Collagen is your fountain of youth!” Which is why we seek out only the very best, advanced anti aging treatments. We can get even better results when we incorporate Dermal Rolling and Peels into your Skin Resurfacing & Rejuvenation Protocol. Dermal Rolling is pretty much a fractional procedure without the laser. We’re able to pixilate the skin over and over without causing any thermal damage, producing collagen to be stimulated to tighten the skin, improving overall skin tone. 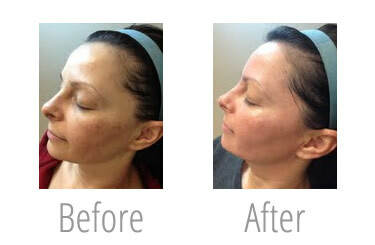 Dermal Rolling is a great preventative treatment to keep collagen stimulated at all times.